Hi Everyone, So I hope you had an amazing christmas, I think we can all agree blogmas faled a little but I did try my best with it. Todays post is a what I got for christmas post, I love reading these posts so thought my readers might also enjoy it as well. Just want to throuh out there i'm really not trying to brag in anyway and i'm so thankfull for everything I did get. If you have done one of these posts please let me know so I can cheek it out. So to start off this is the stuff I got from my mum and dad. Create a bear- now i'm almost 18 but I still love bears I still go to build a bear and all that but my mum thought it would be nice to get me this so I could do it all myself I actully made her on christmas day. Lipsy leperd print bag- now I really was not expecting this at all, I love this alot and cant wait to use it. 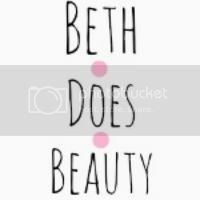 walet- I was actully with my mum when she got this but I really thought it was for my sister but I love it and have started using it allready. Slippers- these are nice christmas print slippers, I got 2 pares of slippers this year and warm socks as everyone knows I have really bad serculation in my feet and hands. welly socks- got 2 pairs in this set, love welly socks as there lovely and warm. Kindle fire- me and my sisters got kindle fires this year and so far im in love. I got one more thing from my mum and dad but it was too big to add, I got a pin and white board. 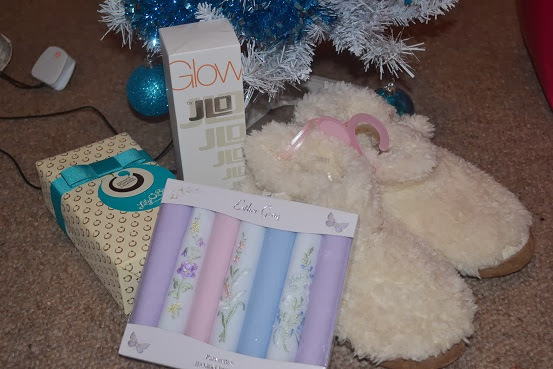 and from my gran and grandad on my dads side I got the glow by jlo, hanckys and some chocolates which I have actully given to my mum and dad as I cant actully eat them. From anties and uncles I got some really lovely things. from Rachel I got a E bangle (see a theam) and this beautiful iphone case from miss selfriges. my sister works in miss selfrige and I was in in the beginning of the month and saw this and loved it and I guess she remembered. 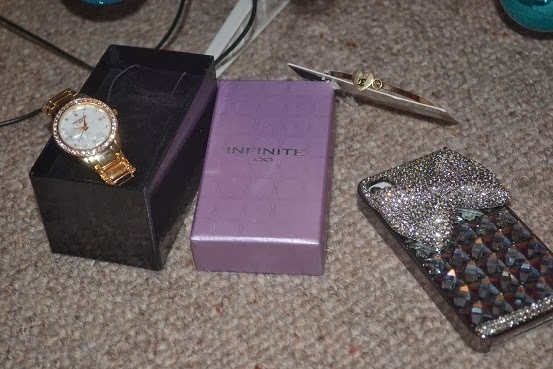 and from my best friend Amy I got far to much and im So greatfull for it and she is amazing but I did give her into troble for getting me so much. 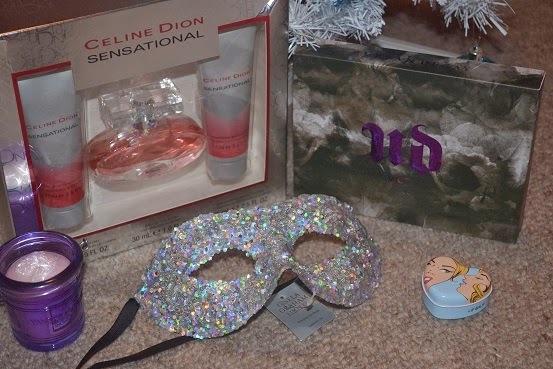 she got me the Urban decay vice 2 palette now I have had my eye on this for ages and its so amazing I cant wait to use this palette, Thank you so much amy for this palette, she also got me the snowflake cookie yankee candle a beautiful mask and a pop art lip balm. I love all this stuff so much. 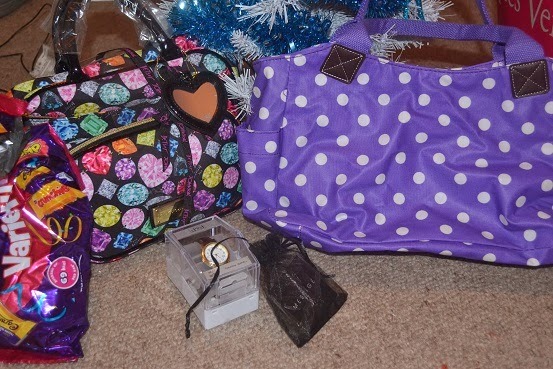 then lastle my stocking fillers. Now I will name the items but not go into detaile. I got Mustash bottle, touch screen gloves, a diary, manacure set, glutin free cookies, braslet, soft and gentle, fairy snap, butterfly pins, sheep pencil, owl contact case, fairy mirror, fox gloves, pocket light, bunch of sweets, tishues and 2 morgan tallor nail polishes in seal the deal and all the right moves. 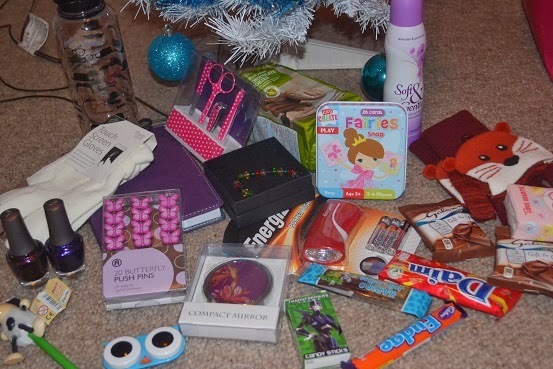 I love everything i got and say thank you to everyone who said happy christmas and sent cards and everything. If you enjoyed this post let me know and if you want me to do something simmeler for my 18th please let me know as well. You've got some pretty amazing things! I love my Kindle Fire, they're amazing! 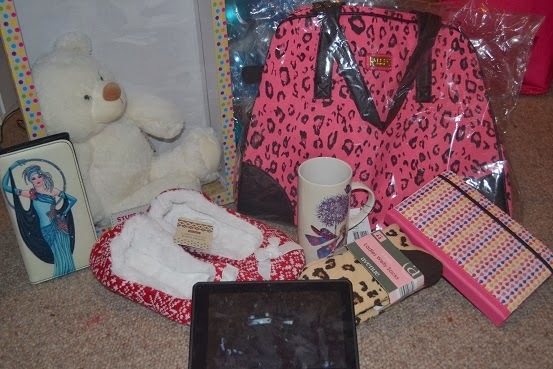 What lovely gifts, the phone case is just gorgeous and I'm too jealous of the create a bear, I need this in my life! Everything is so cute and awesome! I like seeing what people got for Christmas too. I just got money and gift cards. I'm happy for it though. I would like to see what you get for your bday too.